Back in 2002 my district ran into HUGE financial trouble. HUGE. . . not your typical budget cuts. Long story short: the superintendent resigned because he knew what was "going down"- our district was 10 million dollars in debt. The state had to bail us out: we were on financial watch, teachers that we're lucky to not lose their jobs all lost a step and the raise that had been implemented. At the building level everyone did as much as they could to be thrifty. 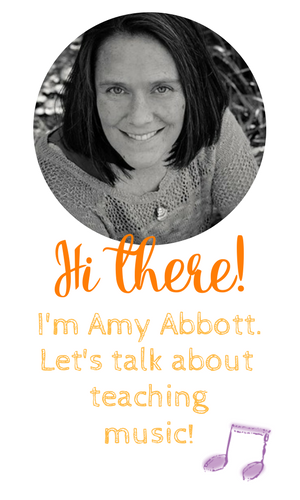 We all know that there are many ways to be an effective teacher and reuse resources. Look at Kodály- the main reason he used one, two or three line staves was not for pedagogical purposes but to save paper and ink. One thing that I did to individually assess my students melodic writing without wasting paper, and that I STILL use because of it's effectiveness, is this writing exercise (BTW, it's stolen from Sue Leithold Bowcock!!!). 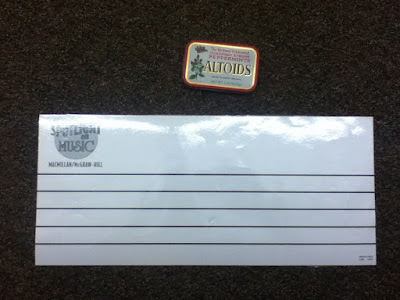 First, you need staff paper: you know, the kind that you can find at McMillian's or Silver Burdett's exhibits when you visit any music conference. Then, I use bingo chips that I found at Walmart the year of the budget crisis as note heads. The art teacher that I worked at that time had collected Altoids tins for an art project but decided not to use them so he kindly gave them to me. The tins are the perfect container in which to store the bingo chips. 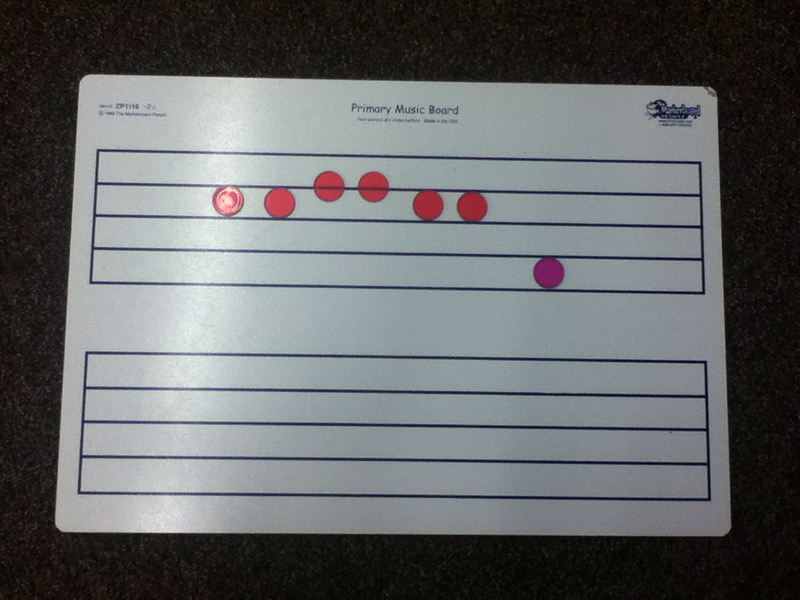 The thing that I LOVE, LOVE, LOVE about this is the students can clearly see how the staff line goes through the middle of line notes and that space notes occupy the entire space. 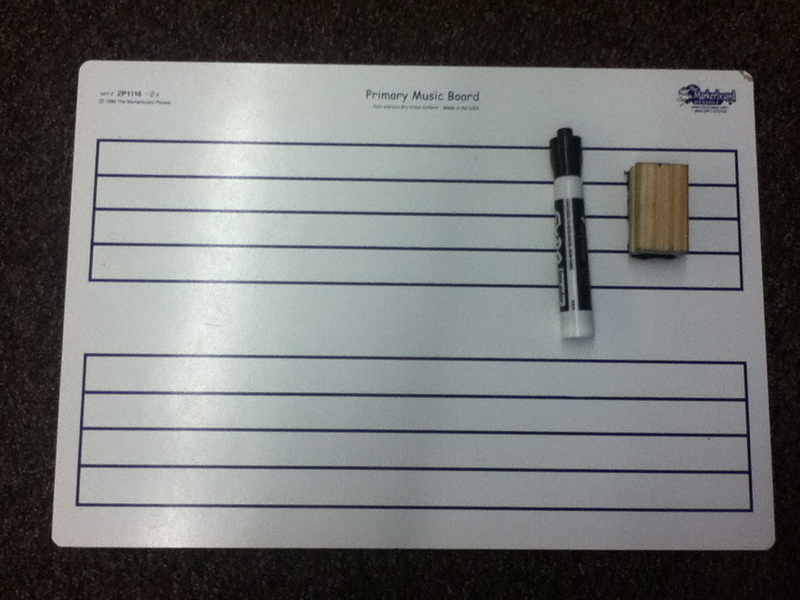 With my new school I got these fancy-smancy whiteboards from "The Markerboard People." 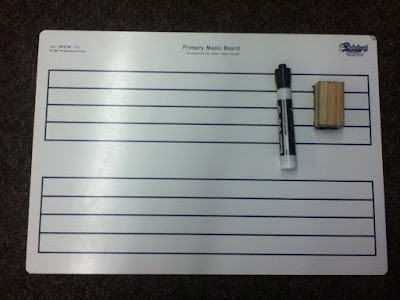 I love these too. . .. mainly because the backside is a blank white board for rhythmic writing and can also be doubled as a hard surface to write on. Altoid tins= great idea that I'll steal. I have my noteheads in plastic bags, (which I replace yearly because they rip.) Years ago, when I began teaching at my current school, I went to Home Depot, bought shower board, and asked asked them to cut them into lapboards. It was cheap and the boards have lasted. I love your ideas! I do this same type of thing, but I have wooden benches that 6 children sit on. 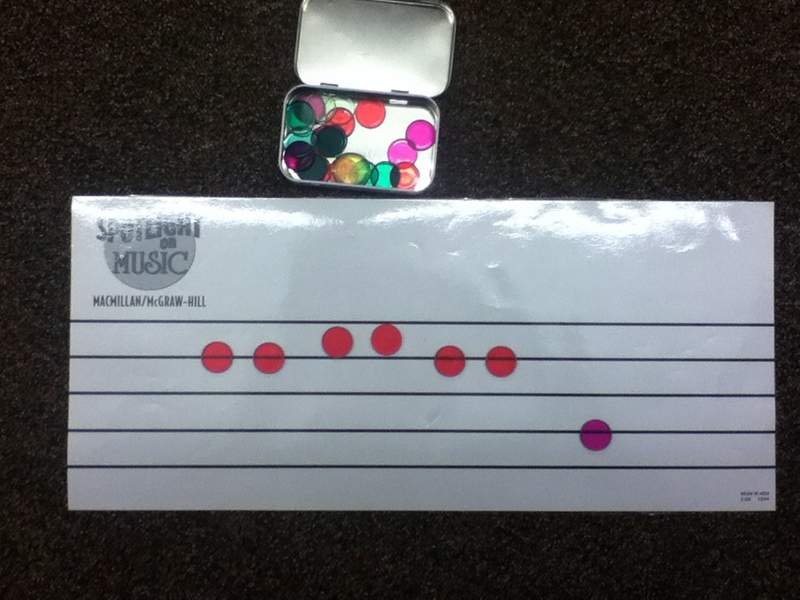 Each child has a cubby in the bench that holds our music books, a music staff book and a plastic pencil box that keeps colored popsicle sticks for making rhythms and math counters for notes. The staff is routed into each of the benches. 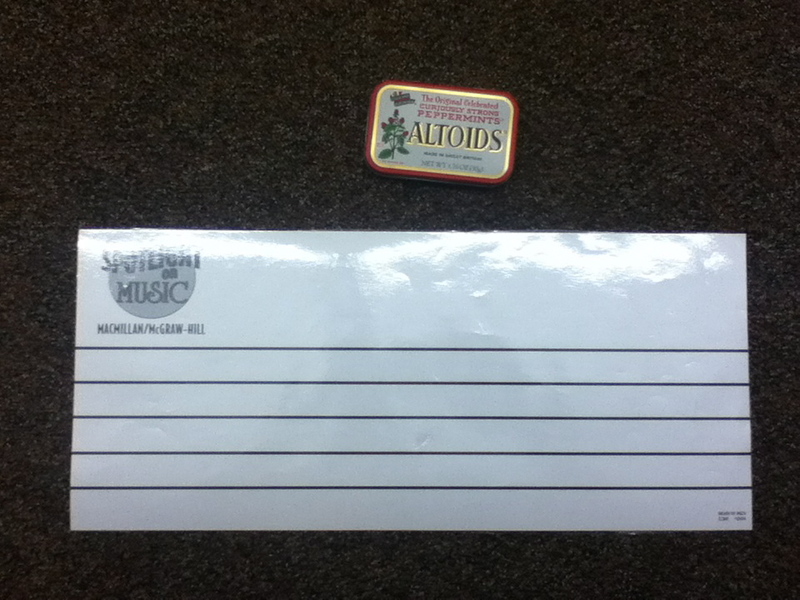 I also love math counting chips, but the altoid tins I hadn't thought of! (Which is funny, because I got some in my stocking, so I'll have to stock up on a few more!) :) Thanks for the great post!